Many a marketing campaigns are launched targeting faceless, nameless consumers without any meaningful context. Launching a video marketing campaign without having a clear idea of who your target audience is just about the worst possible thing you can do for your marketing strategy. This is a lose-lose situation in which both the brand and the user aren’t benefiting from the marketing strategy. Which one’s better: knowing that your customer is a 34-year-old office employee named Meg who has two kids under the age of six, drives a Prius, and shops mostly from Target; or, a ‘thirty-something working female’? The former is clearer and targeted which means it will be more effective, whereas the latter is vague and mostly unhelpful. So, having a buyer persona in place will mean you’re better off. A buyer persona is a basically a customer profile based on research. It describes what your ideal target customer is like. It also describes what their daily lives are like, what their problems are, what challenges they face, how they make decisions, and what kind of solutions they are looking for. You can have both single and multiple buyer personas for your business. Your products/services can be addressing different target markets at once. But you’ll, of course, need different strategies to address those target audiences. Buyer personas make sure that your video marketing strategy doesn’t go to waste. You’ve put in so much effort in your campaign; you will obviously want to see results. And buyer personas can help you do that. 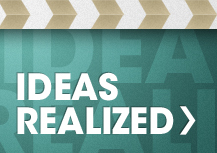 It ensures that all your video marketing activities are focused towards and tailored for a targeted demographic. Customers usually gravitate towards businesses that they feel really understand them. They prefer to do business with those who know their needs and offer the right solution. A buyer persona helps you build a profile of what your potential customer is like so that you can provide viable solutions and gain trust. In fact, around 65% of companies that regularly update their buyer persona surpassed their competitors in sales and revenue goals. When it comes to a successful video marketing campaign, a one-size-fits-all approach is not what you need. A tailored and customized strategy is the way to go. How Can You Create a Buyer Persona For Your Business? Building buyer personas requires both internal and external research. Start out with choosing one target audience and building a persona on the basis of what you already know. Improve it with further research. List down in-questions that you can ask yourself about what your ideal customer is like. Compare it with those of your colleagues and build a unified persona. 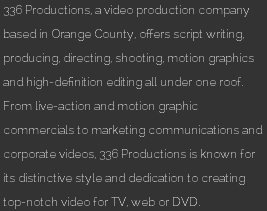 We are a full-service video production company in Orange County that provides our clients with the best of the best when it comes to corporate video production. 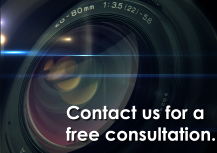 Whether you’re looking for an Irvine video company or a Long Beach video vendor, we provide So Cal video services to all communities in the region. 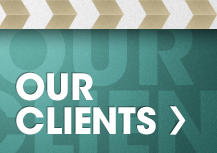 Contact us today to learn more about our services!